TLV Euro Engineering has revealed five steps that industrial businesses can take to improve their steam plant efficiency. In many industries, steam plants now provide a crucial energy source, delivering reliable high-quality steam for the production process. However, rising gas prices and a need to reduce CO2 emissions has led to an increasing focus on the efficiency of steam plants. While there are many ways to improve efficiency they often involve considerable investment (e.g., the wholesale change of steam traps), so before embarking on any large capital project, it is worth taking a closer look at the system itself by following these five steps to improve efficiency. It is a good idea to estimate the cost of steam generation beforehand. All the calculations quoted here are based on a plant running 24/7 for 50 weeks a year, with a steam cost of GBP 20.00. For the best results, you need to ascertain the steam cost for your site. Approximate steam costs can be calculated easily by taking the fuel costs and calorific value and applying a rough figure for boiler efficiency. For a more accurate approach, the amount of steam generated, fuel costs, water costs, water treatment costs, and boiler maintenance costs can also be taken into account. First, a steam trap survey can easily identify leaking or faulty traps and provide significant potential savings. For example, it is not unusual for a site with 100 steam traps to find that 15-20 are leaking. A leaking steam trap could be losing you up to GBP 2,000 per year, so the potential annual loss - and therefore the potential saving - is in the region of GBP 35,000. Replacing the traps could provide payback in months rather than years. The same survey will also identify blocked traps, which can significantly reduce process efficiency, affect steam quality, and impact on the safety of the system. In a recent example, TLV Euro Engineering was contracted to provide regular steam trap surveys using its Trapman® TM5 testing equipment at all 13 UK-based BOCM Pauls animal feed sites. To gain ISO14001 accreditation, each site needed to monitor energy usage to improve efficiency and reduce energy. TLV was asked to carry out a steam survey. They needed to not only determine whether a trap was correctly working or not, but also to accurately quantify the steam losses in traps that were leaking. A total of 552 traps were tested of which 89 (16 per cent) were leaking. This was estimated to be costing BOCM Pauls GBP 95,000 and generating 435 tons of CO2. Second, as the cost of steam rises with the increase in energy prices, so does the value of condensate. Here are some factors to take into account when calculating the value of condensate: heat energy, water charges, the cost of water treatment, and effluent charges. Based on typical costs of GBP 3.00 or GBP 4.00 per ton, a small steam-powered process discharging 1,000 liters of unrecovered condensate per hour would be costing approximately GBP 24,000 per year. In contrast, the savings made by the installation of an efficient condensate return system with associated pipe modifications could lead to a positive return on investment less than six months down the line. Third, although the cost of insulation can be high, the potential savings can deliver a rapid return on investment. Programs are available to calculate the standing losses from un-lagged steam pipes. All that is required to establish a realistic estimate is a simple site survey to identify piping size and steam pressure. As an example of the benefits, a process running 24/7 (10barg, 20C) can reach annual losses of up to GBP 4,500 for just 10m of un-lagged internal pipe. Fourth, a 1mm hole in your steam main could be costing GBP 500 per year. A 2in isolation valve leaking steam could be costing GBP 750 per year. Walk around your steam system and closely inspect valve stems, safety valves, flanges and unions for steam leaks. You will probably be surprised how many you find. Finally, steam metering itself will not directly save energy, but for good housekeeping it is an essential discipline. Metering from the boiler house provides the most accurate steam consumption statistics for a typical working day, and can also be a useful troubleshooting tool. For example, a rise in oil consumption without a corresponding rise in steam production can point to a problem with the boiler. There are potentially thousands of pounds (£) of savings to be made by following these five simple steps. For the best results you may need the help of a steam specialist company, but elements of a preliminary audit can be carried out in-house. Based on the findings, a steam management program should be developed and established to help improve the system. After having improved system efficiency with an in-house management program, it can become more difficult to find opportunities to save energy. The next stage may require greater capital outlay, but larger savings could also be made. One example is energy loss related to venting large amounts of flash steam into the atmosphere. 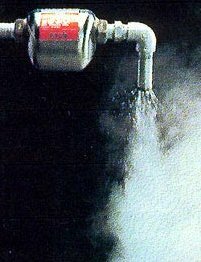 Recovering and using this steam can result in significant savings. If you have a process running at 1 to 1.5 barg, you may be able to utilize the flash steam for this application, but care needs to be taken to make sure that flash steam requirements are in line with the flash being generated. If you do not have a suitable use for the flash steam, there may be opportunities to use it to preheat boiler feedwater. Alternatively, a steam compressor uses plant steam mixed with flash steam to generate steam at a more useful pressure. Improved boiler operation can in turn show a marked improvement in efficiency. Regular servicing and maintenance; correct blow-down; the use of modulating burners instead of traditional on/off burners; and sequencing systems for multiple steam and hot-water boiler installations can all help to maximize boiler efficiency. In addition, variable-speed drives on the blower and an economizer to utilize waste heat in the flue gas can also help to increase the efficiency of the boiler. Finally, look at the way steam is used around your site, as steam pressure and quality can have a significant bearing on the efficiency of particular processes.